The most meaningful part of teaching is the difference you make it the lives of your students. So many teachers are simply drawn to this profession and will say it isn’t “work” it is a “rewarding passion.” While many believe the teacher’s schedule is their biggest benefit of their job, it is the teacher who benefits the student in a magnitude of ways. The overall profession of teaching is finding itself in an interesting dynamic. From 2014 to 2024, a significant number of older teachers will reach retirement age, according to the Bureau of Labor Statistics. Their retirement will create job openings for a wave of new teachers. The highest demand for teachers right now are in math, science, chemistry, physics, English as a second language and special education. There are many scholarships available to those who would like to go into teaching with an intention of teaching in the STEM subject area. Keep in mind, with a country this vast, significant variations can occur depending on specific needs in different areas of the country. One way to inspire students is to have a multi-cultural teaching force. There are many scholarships available to encourage minorities to enter the teaching profession. Having diverse teachers inspire young children to see that the world is open to them and opportunity awaits no matter what color skin they have. As government funding is harder and harder to come by, you will find this list also includes some scholarships for those who want to teach in the arts, physical education, early childhood education, school administration and many more. The world of teaching is a dynamic and rewarding profession. It evolves as the world evolves, new subjects arise and teachers are there to meet the challenge. The Armed Forces Communication and Electronics Association (AFCEA) is a membership based, non-profit organization that advances it members in information technology, communication and electronics capability. Part of their mission statement includes “…AFCEA is dedicated to increasing knowledge through the exploration of issues relevant to its members in information technology, communications and electronics for the defense, homeland security and intelligence communities.” This organization provides an environment for military, government and industry communities to cooperate so technology and strategy support the needs of those who serve. They serve their members by providing the forum for an ethical exchange of information. STEM education is key to creating our critical thinkers, helping our children understand concepts of science and helping to provide an environment to launch our next generation of innovators. To keep America competitive in the area of STEM learning, AFCEA offers an annual scholarship to students who are pursuing a graduate degree or credentials/licensure with an end goal of teaching STEM subjects in a US school, grades k-12. Graduate students must be in their second semester, and have a bachelor’s degree in a STEM major. AFCEA is also awarding a STEM Teacher’s Scholarship in honor of MG Eugene C Remzi, USA (Ret.). This teacher will be selected from the STEM Teacher applicants and will receive an award of $2500. The American Association of Physics Teachers (AAPT) is a professional membership association of scientists dedicated to enhancing the understanding and appreciation of physics through teaching. Their dedication to excellence in physical science education is the cornerstone of the organization. This vision of improving physics education is supported by members around the globe. Additionally, the AAPT is actively involved in sponsoring the US Physics Team in multiple competitions including: the International Physics Olympiad, Team America Rocketry Challenge and Physics Day at Six Flags. This organization also honors and recognizes current educators teaching physics and astronomy who have made significant contributions to the association, education and research in the past year. The executive board of the AAPT offers scholarships for future high school physics teachers. These scholarships are available to all US Citizens attending US schools, and are supported by an endowment funded by Barbara Lotze. This award is open to undergraduate students as well as high school students planning to enter into programs that support physics teacher preparation curricula. Undergraduate students must be enrolled in an accredited two-year, or four-year college pursuing the course of studies that prepare them for teaching physics. Award recipients receive a stipend up to $2,000 and a complimentary AAPT Student Membership for one year. This scholarship may be awarded to a student for up to 4 years. The American Association of School Personnel Administrators (AASPA) promotes leadership in human resources specifically targeting practices within education. Their mission is to provide services, resources and information fundamental in promoting successful HR practice in the best interest of students. The AASPA is a tremendous resource for professional development and boasts that they can help their members do their jobs more efficiently, legally and effectively. Established in 1938, the AASPA encourages and enhances professional development activities and has a broad resource network. The Leon Bradley Scholarship encourages more minorities to enter the field of teaching and school leadership. Their belief is that showing diversity among educators who serve as role models for the students they teach is extremely beneficial. Having minorities in teaching and administrative positions can greatly influence and encourage minority students in their own career path. The AASPA will award one scholarship in the amount of $2,500 for the student’s final year, which includes student teaching. One additional scholarship will be for a minority paraprofessional career-changer in the final year of teaching preparation which will include student teaching, this award is $1,500. Additionally, up to two scholarships will be granted to a minority at the graduate level who is pursuing credentials for a role in school administration. Dr. Nancy McCormick Rambusch founded the American Montessori Society in 1960 to reignite excitement in Montessori education which had briefly flourished in the early 20th century. The AMS developed an American approach to the Montessori teaching methods and it was not long before educators, scholars and parents were interested and embraced the Montessori method. Today, the AMS is a vivacious and active community involving schools, teachers, teacher education programs, families and friends who are devoted to make Montessori a uplifting and positive force for education worldwide. It’s members are committed to sharing their time, knowledge, creativity and experience all with the goal of educational excellence. To encourage aspiring Montessori teachers, each year the American Montessori Society awards teacher education scholarships. AMS is proud to support the growth of future teachers with a passion for Montessori. Candidates are eligible when they are been accepted, or are in the process of being accepted or are already enrolled in an AMS-affiliated teacher education program. The scholarship window opens in January for the upcoming fall school year, with a deadline for applicants of May 1. If you are a current teacher in the state of Arkansas, there is a great opportunity for you to take advantage of. The Arkansas Department of Higher Education provides tuition reimbursement through their Teacher Opportunity program (TOP). This allows teachers and administrators to apply for reimbursement for out-of-pocket expenses for up to six college credit hours completed for each academic year. The award will not exceed $3000. To qualify for this program candidates must: be a resident of Arkansas for one year (12 months) prior to the application deadline, be a US citizen or permanent resident alien, have a current teacher and/or administrator license with the Arkansas Department of Education, be enrolled in an approved institution of higher education in Arkansas, be currently employed as a classroom teacher or administrator in Arkansas and have intent to continue employment in Arkansas, be enrolled in college level courses directly related to employment and have at least a 2.50 cumulative GPA in the courses funded by the TOP Grant. The amount awarded will be based on the cost to the student for tuition, fees, book and required supplies for the six college credit hours completed. If necessary to provide preference, first priority will be given to teachers taking courses that will grant them an additional license in a subject matter deemed by the Arkansas Department of Education to be in a shortage. Founded in 1986, Bright Horizons operates more than 750 child care centers worldwide. In addition, Bright Horizons Family Solutions is a global leader in providing employer-sponsored early care, education and help to provide work/life solutions. Locations throughout the world including the US, Europe, Canada, Ireland and India, Bright Horizons is the elite partner for hundreds of companies including more than 82 Fortune 500 firms. Focusing on the entire family, Bright Horizons offers so much more than early education. Their organization sees children through the spectrum of education with it’s College Coach program, expert consultation through former college advisors and financial aid officers. Bright Horizons sees families as they are – with all their moving parts. The assistance and guidance they provide help to keep family-first priorities. The Bright Futures Scholarship Program offers financial assistance for future teachers in early childhood education. Bright Futures is proud to support this early education profession to shine a light on the value it brings to children’s lives. The goal of this scholarship is to encourage those students who feel drawn to care for and teach young children. Recipients must be enrolled in an associates, bachelors or masters program at an accredited college or university in the US. Financial assistance up to $1,000 will be awarded to recipients to help offset expenses and can be used for books, laptops, fees or other educational expenses. BulkOfficeSupply.com is the “Costco/Sam’s Club” for office supplies. They service small business owners to large corporations, schools and hospitals with the supplies they need to run their business while keeping their supply costs as tight as possible. They give their customers the opportunity to buy in bulk and save, protecting their customers bottom line. BulkOfficeSupply.com supplies many schools and universities. With that in mind, they would like to give back to their communities and have developed a scholarship program. If your passion is teaching, Art or owning your own business then please apply to their scholarship program. There is no restrictions on where you live to qualify, all students are eligible. Candidates must simply be high school students, college freshmen or sophomores. The $1,00 award will be to help with the cost of tuition. BulkOfficeSupply.com would like to know where you plan to go to school and your desired major. In addition, their decision will be based on how you developed your interest in teaching and how this scholarship will help you achieve your goal of becoming a teacher. A short essay is also required, it should be around 500 words, but not exceed 600. The College Foundation of West Virginia is a vast resource for students and professionals. From planning your high school classes, college guidance as well as career planning – this website is designed to help the residents of West Virginia succeed. As part of this initiative, the Underwood-Smith Teacher Scholarship Program is a financial aid program. It is to inspire and support students pursuing a degree in the field of education. The scholarship is open to teaching careers at any level of education; preschool, elementary, middle or high school levels qualify. The Program enables graduate and undergraduate scholarships, not to exceed $5,000 per academic year. The award is distributed based on academic qualifications as well as interest in teaching. The goal of the scholarship is to promote the field of teaching and encourage those students who have plans to stay in West Virginia and teach in the public school system. Due to variable or limited funding, priority is given to students who are attending a West Virginia college/university and are junior, senior or graduate students. Awards are also dependent on the annual funding to this program as distributed by the West Virginia State Legislature. This scholarship is under the umbrella of scholarships awarded through the Daughters of the American Revolution. The DAR was founded in 1890 and is a non-political women’s volunteer service organization. The women involved in this organization see themselves as vivacious, active volunteers who prioritize serving their community, preserving history and the education of children. They honor and support those who serve our nation. They pride themselves in the richness of this nation’s history, while being current and relevant in the present. They do that by combining the restoration and maintenance of historical sites, providing volunteers to assist military veterans, as well as celebrating with new citizens in naturalization ceremonies, and many more activities designed to honoring our nation. The Borgens Scholarship offers (2) one time, preferred amount awards of up to $1,500 for students 25 years of age or older. One scholarship is offered to students studying elementary education and one scholarship for students pursuing a career to teach at the secondary level. Applicants will need to be at least a college sophomore and have plans to attend, or be currently attending an accredited college or university. The award is based on academic merit and while not automatically renewable, applicants may reapply to be considered as long as they continue to meet the requirements. Mr. Kazmierczak was a remarkable man with a genuine interest in advancing the education of migrant workers. Over a 40 year career, Frank tirelessly advocated for the migrant student. He was a leader in national campaign to entice states to utilize the PASS (Portable Assisted Study Sequence) courses, which aided migrant students to earn high school credits. Additionally, he was the guiding force in the creation of the Mini-PASS – courses for middle school students. Several other programs also benefited from having Frank involved including the National Distance Learning Committee, National Program for Secondary Credit Exchange and Accrual, National Migrant Interstate Task Force and Interstate Migrant Secondary Team Project. Frank was the kind of person who was passionate about education, in all aspects. Throughout his career, he was a teacher, principal, curriculum coordinator, program administrator as well as a school superintendent. As an honor to his work and in his memory, this scholarship is intended to be a living tribute to his career. It is awarded annually to a migrant student with the aspiration to become a teacher. Candidates must have a history of recent migration for agricultural employment, intend to pursue a career in teaching, show scholastic achievement and have financial need. For those students searching for scholarships in the Western Michigan area, The Grand Rapids Community Foundation offers the John & Frances Maghielse scholarship for those pursuing a career in education. In addition to this educational scholarship, this foundation has over $200 million in grants and counting. A true philanthropic leader in Kent County, MI, the grant awards they give each year are products of generous gifts from donors. Most are from people who live or have lived in the greater Grand Rapids community and want to ensure growth for the future. The endowment relies on these donor gifts and realize that it’s success is based on the financial stewardship of the members of the foundation. John & Frances Maghielse were respected members of the community and realize the importance of a quality education. Frances served as a home economics teacher for several years. This scholarship is for a graduate of one of the Grand Rapids public high schools who reside in Kent County. The candidate should be enrolled in a full time undergraduate degree program at a public or private college/university in the state of Michigan. To qualify the candidate must also show financial need and have earned a minimum of a 3.0 GPA. Because this scholarship is offered through the Grand Rapids Community Foundation, one general application is required, please see website for more details. Michael Moody is a Certified Fitness Nutrition Specialist and author who is based in the Chicago area. Through his personal training and guidance, his clients have collectively lost over 2,500 pounds. His integrative approach blends nutrition, exercise and mental changes to create a new lifestyle. His book is an inspiration to change and find your best self, “Redefine Yourself: The Simple Guide To Happiness.” In this spirit, he offers a scholarship for those interested in pursuing a degree in the health and fitness related fields, including Physical Education Teaching and Coaching. To earn the $1,500 award the candidate may be a high school senior, undergraduate or graduate student. This scholarship is for that student that has ambition and drive, they will be a goal setter and have determination and the will to achieve. The recipient will be able to demonstrate their academic achievement, have participated in and had leadership roles in school activities or work experience and an interest in a career in the health and fitness related fields. The money may be used for any education related expense be it tuition, fees, books, supplies or room and board. Legal residents of the US and Puerto Rico who are enrolled or plan to enroll in any two-year or four-year college or university within the US for the upcoming academic school year may apply. In 2004, Ms Larson started Nancy Larson Publishers, Inc. with the goal to introduce and excite students by providing engaging yet challenging programs in key areas beyond mathematics. Nancy is the creator of the Saxon Math K-4 program, which has had national success. After seeing the benefits of this program, Nancy developed Nancy Larson ® Science K, 1, 2, 3, 4 and 5. This interactive science program is also a huge success offering students a hands-on experience. Larson is dedicated to not only the education of elementary students, but also to encouraging and motivating aspiring young educators pursuing their dreams of teaching. To this end, she has formed the Nancy Larson Foundation as means to provide scholarships for those pursuing a degree in teaching elementary education. Nancy has always been so grateful for her success, this foundation gives her the opportunity to give back and honor the teachers of the future. All candidates should be a junior, senior or graduate student who has declared an elementary education major. Application for this scholarship requires a personal narrative detailing why they want to teach and what will make them a high quality teacher. In addition, applicants are asked to include what community service they have been involved in as well as personal experiences working with children. As the nation’s largest professional employee organization, the National Education Association (NEA) has prioritized the advancement of public education. Nearly three million members strong, NEA is represented at every level of education from university graduate programs down to the beginnings of education, in the preschool level. NEA recognizes that each level is equally important for the strength of the public education system, which represents their goal and belief that every child deserves a quality education. This is an organization for professional teachers, but encourage it’s members to get involved on a student level. Any student enrolled in a postsecondary education that is pursuing a teaching degree, will make them eligible for an Active (teaching) membership. With this membership, students can take advantage of all NEA has to offer from exclusive news and information, resources, discounted legal service, forums and discussions and much more. Jack Kinnaman was a beloved member (NEA-Retired) of this organization. He served as Vice President and former Advisory Council member of NEA-Retired. He was also the NEA-Retired representative for the Fund for Children and Public Education as well as being involved in many local, state and national Association positions. Mr. Kinnaman cared very much about the students, particularly those who were financially challenged and needed that helping hand. It represents the wishes of his family that his scholarship go to that kind of student, in Jack’s honor and memory. The Pearson Education Scholarship is funded by the Pearson Education. Pearson truly believes “learning is a never-ending road of discovery.” This specific scholarship is awarded to a person who is legally blind in both eyes, pursuing a degree in the field of education. The candidate must reside in the United States and attending a college/university within the United States. The award recipient will also participate in the entire NFB national convention as well as all its scheduled scholarship program activities. In addition to receiving the scholarship money, the winner will also receive assistance to attend the National Federation of the Blind Annual Convention which provided excellent opportunities to network with active blind professionals in many different fields and professions. Phi Delta Kappa (PDK) International is a professional organization the collaborates the top leaders, innovators, and trendsetters in the field of education to inspire one another. This is done by offering professional learning and growth opportunities, with focused networking and targeted research. Under the umbrella of PDK International, there are 3 unique associations including Pi Lambda Theta and Educators Rising. Combining these associations allows PDK to service all the needs of educators from the pre-collegiate educators, collegiate preservice and those practicing teachers as well as serving the professional needs of career educators. Their mission is simple, to grow and connect leaders in education. By doing this they are able to connect their members, share research, innovations and best practices and they empower their members to advocate for their students and the profession of teaching. The Foundation provided more than 30 scholarships each year to prospective educators. Scholarships are available to students who have a connection to PDK through a family member or teacher who is a PDK member, or through a membership in Educators Rising. Here are some ways this connection can work for you: 1) if you are a high school senior intending to major in education and are a good standing member of Educators Rising, 2) you are a high school senior planning to major in education and you are the child or grandchild of a Kappan in good standing, 3) you are a high school senior planning to pursue a degree in education and you provide one reference letter written by a Kappan in good standing. Additionally, an undergraduate member of PDK who is enrolled in a college education program and an undergraduate member of Educators Rising who is enrolled in a college education program. The Pi Lambda Theta is part of the Phi Delta Kappa International organization. Specifically, Pi Lambda Theta is a nationally recognized and prestigious education honor society. It was established in 1910, it serves to recognize outstanding students pursuing careers in the field of education. Boasting more than 185,000 members across the United States, this membership signifies a commitment to academic excellence and the profession of teaching. To join the PLT one must have a cumulative GPA of 3.5 or higher and be an undergraduate senior, recent graduate, or graduate student who intends to pursue a career in education. Current educators or education professionals/support staff are also eligible for membership. The Student Support Scholarships are intended to assist students with their tuition and books. They are available to part time as well as full time students. The scholarship is disbursed directly to an accredited college/university on behalf of the recipient. Applicants must be a member of Pi Lambda Theta, have a cumulative grade point average of 3.5 (on a 4.0 scale) and be enrolled full or part time for a minimum of 3 semester hours at a regionally accredited institution. Ruth Abernathy served as President of the American Alliance for Health, Physical Education, Recreation and Dance (AAHPERD) from 1954-1956. Their vision is “Healthy People – Physically Educated and Physically Active!” This organization is full of professionals involved in physical education, physical activity, and school health – everything related to achieving an active, healthy lifestyle. The Ruth Abernathy Presidential Scholarship was developed by past presidents of SHAPE America. SHAPE America is the Society of Health and Physical Educators, their vision is to have a country of children that are prepared to live healthy, active lifestyles. They believe that with effective teaching, students can develop the confidence and gain the knowledge needed to be physically active and make healthy lifestyle choices. This scholarship is designed to honor deserving students. Three undergraduate students and two graduates students will be honored recipients at the SHAPE America National Convention & Exposition. Undergraduate award winners will receive $1,250 each and the graduate award winner will receive $1,750 each. In addition, all scholarship winners will also receive a complimentary three-year SHAPE America membership. 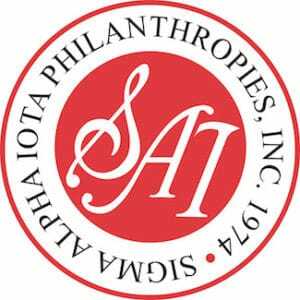 The purpose of the Sigma Alpha Iota International Music Fraternity is to simply “encourage, nurture and support the art of music.” Their intent is to form chapters of women at universities across the country that share the love and passion for music. Together they uphold a high standard in music and collaborate to further the development of music worldwide. Within each chapter, members strive to celebrate the diversity of musical expression, raise standards for music, advocate for education and to provide a platform for the creation and performance of American music. SAI offers many scholarships in the field of music, but specific to education they have a scholarship offering to graduate students pursuing a master’s or doctoral degree in music education. Applicants must be a member of Sigma Alpha Iota Fraternity (in good financial standing) to apply. It is best if the applicant has completed at least one year of teaching in a private or public school, however it is not required. Your undergraduate degree should be in music and you should already be accepted into a program leading to your masters or doctoral degree in music education. This scholarship will be applied directly to the winner’s tuition. To qualify for this award, the candidate should be working toward a degree in instrumental music education and attending a college/university in the US. Please read through their application materials and deadlines closely. Note that documents for this scholarship are not accepted via electronic submission. The recipient will receive a $1,000 scholarship. Applicant my submit a renewal application the following year, but that will not guarantee the award. Teachers.org is a website providing a platform for current and aspiring teachers to come together. Their mission is to “inform, empower and encourage aspiring, new and veteran teachers.” This is a website that brings teachers together in a place where they can find growth, no matter where they are on their teaching path. It was developed by teachers, for teachers. Their goal is to give back to teachers what they need whether that is inspiration, encouragement or provide information. The dedication that this website sees in the teachers that use this forum is remarkable, they are driven to lead their classrooms into greatness. The Inspire Our Future Scholarship is for a student who has just stepped on their career path, or for an experienced teacher who is continuing their education. Teacher.org realizes that either way, teachers will inspire our future by encouraging their students to be the best they can be. When that happens, we all benefit. To acknowledge this effort, Teacher.org has developed a scholarship as their way to say thank you for “inspiring our future.” This scholarship is an award of $500 that can be used to help pay for education costs or other related expenses. Are you already an employed teacher in the Milwaukee area? This scholarship is for those teachers pursuing a master’s degree. Graduate study from a renowned university such as Marquette will give you intellectual challenge, opportunities for growth both morally and spiritually while maintaining a high degree of academic excellence. You will be prepared to meet professional challenges and find yourself contributing to your community in ways that will enrich others as well as yourself. Graduate School at Marquette prides itself with focusing on each student with individual attention, quality faculty, and flexible schedules. The Milwaukee Area Teachers Scholarship (MATS) will provide one half tuition scholarships for 3 credits per term. In other words, it will pay for one half of a 3 credit course or for 1.5 credits. Applicants must be employed as elementary or secondary teachers in public or private schools in the Milwaukee area. The applicant may be non-degreed and/or have less than full-time status to qualify. Please see their website for specific counties that are eligible. The MATS scholarship is available for fall, spring and summer semesters. The details for each deadline is also available on their website. The University of Alaska Anchorage offers a scholarship in her name. Candidates for this award are pursuing their education for a BA in elementary education or a BA in Early Childhood Education. Applicants must be formally admitted in the College of Education and have a 3.0 average, and plan on enrolling in at least 6 credit hours. Additional requirements can be found on their website. A unique scholarship opportunity can be found through Training for Success ™ by Mark Anthony. For more than 25 years, Mark and his team have guided professionals, government institutions, corporate sales and customer service teams to find solutions to keep them successful in an ever changing world climate. His innovative ideas provide improvements in every area of a business including sales, productivity and management. A cornerstone of their belief is that success is found in a good education. Training for Success has be assisting professionals to achieve countless goals by utilizing a plethora of educational programs. A solid education can be the launching pad for problem solving and can open doors to further career success. For those pursuing a degree in teaching, consider applying for their scholarship program. High school senior, college freshmen or sophomores are all eligible. The $1,000 award is to aid in the high cost of tuition. Your scholarship application should include: where you are planning to attend school, your desired major, your teaching goals, why the scholarship will help you meet your goals, why you feel you have earned it and an essay to to exceed 500 words. Further details can be found on their website. United Commercial Travelers is more than an insurance company, they are committed to giving back to local communities. It is a fraternal benefit society, a non-profit financial services membership organization. They are different from other insurance companies by the fact that their policyholders are members, and together give back to their local communities. UTC does not pay dividends to shareholders, the insurance operations help to assist our members local community service efforts. In 1997, UTC Charities was established to support and enhance the lives of those living with intellectual and developmental disabilities. The American Special Hockey Association is partnered with and funded through UTC Charities. Seeing the needs from member communities, UTC Charities has expanded to include and support additional programs and initiatives supporting individuals with special needs. One of the ways UTC gives back to its members is by offering scholarships. With their continued focus on communities, one way is investing in the shining stars of future community leaders. There are three scholarship programs available to help offset the high cost of a college education. The UTC Scholarship Program is funded by UTC Charities is designed specifically for those students and teachers wanting to continue their education and earn a certificate or degree working with children enduring intellectual and developmental disabilities. Specific guidelines are available on their website as well as additional scholarship offerings, not specific to teaching but are available to all members.